Genealogy has been a personal hobby of mine for over forty years now. I became curious when my mother first mentioned that her mother was an Earp from the Brushy Mountain area of North Carolina. It seems that my mother's grandmother warned my mother when she was young to "stay away from those mean Earp boys that live up in the mountains around her." 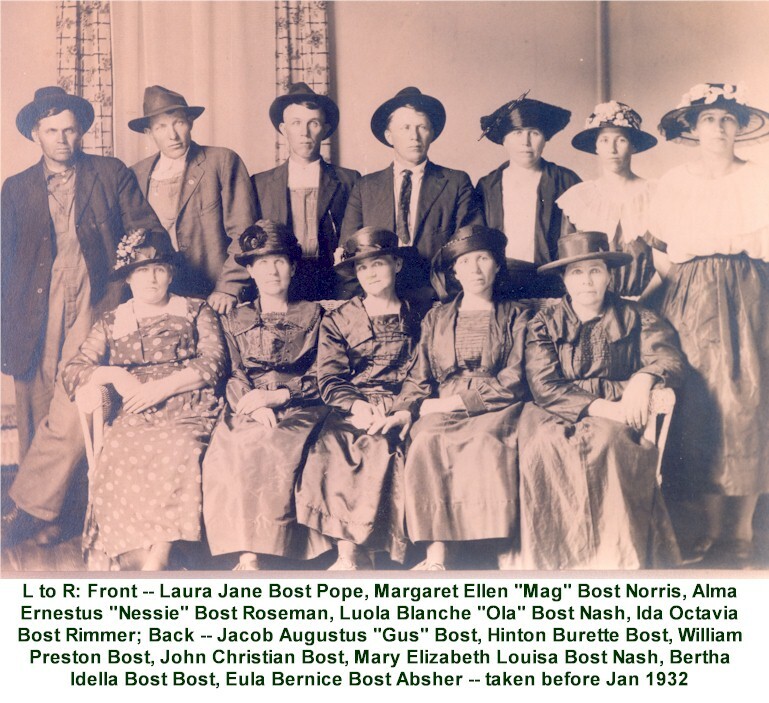 Then, when I discovered that my husband was related to Bosticks in North Carolina, and since my own maiden name was Bost, I wanted to find out if we were related to each other other than by marriage. Those two things that pricked my curiosity started me on a quest that seems to never end. I tell new genealogists that it is trying to put a puzzle together that never has the last piece. When I moved to Danville, Kentucky a number of years ago I fell in love with the history of the area and with the fascinating families who had settled this area. Men like Judge Samuel McDowell and his wife Mary McClung, their son Dr. Ephraim McDowell, the Caldwells, Birneys, Crows, the Sparrows and Whitehouses with their Abraham Lincoln Connection, Simon Kenton who owned land all over Kentucky but chose to settle his family in this area, the Austrian-German settlers who built a community in the Knobs that resembled their own home land, and the families who settled in the beautiful Forkland Valley area have become almost as familiar to me as members my own ancestors. I began doing research into the area families and have been able to help other family members do their own research. After retiring from my "day job" I decided to make researching history and genealogy more than just a hobby, and started a business that I call Crabtree Historical Research. I have put together books that can be purchased both from me personally and from a favorite local museum where I do volunteer work, called the Forkland Lincoln Museum. I also help others who cannot visit this area do their research and research historic properties in central Kentucky. I love speaking to groups about genealogy and history and would love to come to your area. Some of my speech titles are listed on my business web site at http://www.crabtreehistoricalresearch.com. You may also find the book titles there which are available for sale.